You must have a written marketing plan, but the plan is useless without consistent implementation. What are your main investing strategies? How many ways do you currently get leads? What types of marketing strategies do you currently use in your business? How much time do you spend on marketing every day; every week? Do you actually have these times scheduled on your calendar? How many deals do you want to do each month? How much money would you like to make each month? Do you track the results of your marketing activities? Are you happy with your results? A steady stream of leads = cash in your pocket. That’s it. If you can learn how to generate a steady stream of leads and then solve the problems those folks are having, you will be successful in this business. The problem is that most of us weren’t born knowing a lot about marketing. Initially we might go online and hang out in some of the forums or on sites designed specifically for real estate investors. Those are good places to visit and to learn. But learning to market your real estate business by learning a little bit here and a little bit there is kind of like cutting your lawn with a “weed whacker”. Sure it can be done that way, but it’s neither efficient nor is it the best way to get the results you want in less than a decade. One thing I can tell you for sure is the faster you master marketing, the faster you will make money in this business. To take that thought one step further; once you master marketing in your business you will be positioned to make a lot of money. Marketing is the engine that drives the machine AKA your real estate business. Are You Really Stumped About Marketing? If most people were to answer that question honestly, they would have to say yes. They might be out hammering up a few bandit signs or even sending out some direct mail pieces every now and then. But if they are really truthful they would tell you they don’t know where to begin when it comes to creating a marketing plan that works. There is no shame in that. After all babies aren’t born knowing how to walk and talk. They have to learn how to do these things. But when yo u have the opportunity to learn how to shave years off your learning curve, master marketing once and for all, and you pass up an opportunity that will directly impact how much money you make in the next 12 months – now that’s a shame! Over the next couple of weeks I’m going to send you some marketing tips that you can implement in your business. If you are ready to quit fooling around with this problem once and for all, I want you to take a look at the “Deal Maker Bootcamp” information below. Folks – this 2 day small group event is a game changer if you are still struggling with marketing, and you don’t have a marketing plan. If you’re not making the amount of money you want to make; the amount of money you deserve to make; then there’s only one reason. It’s because you don’t have the right information, and you don’t have a plan! We can change all of that in 2 short days, and we guarantee it. If you come to Nashville, spend 2 days with Bill Walston and me and implement what you learn it will change your life. You will finally be able to create money at will with consistent marketing. There’s no magic button. 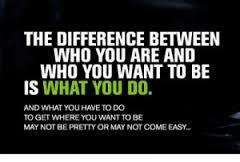 You have to do the work, but we can show you what you need to do to achieve these results. Check out the event below. If you still have questions or want to make sure that this event is right for you, shoot me an email at Sharon.vornholt@gmail.com. Check out the Deal Maker Bootcamp –> Just Click Here and get ready to change your future! Good Stuff….Refocused….Now I’m a marketer who’s in the Real Estate Investing Business. Hitting bandits signs hard, flyers on stores, laundry mats, etc, driving for dollars, birddogging by myself and recruiting and co-wholesaling. Yippee Chavel! We are having another Deal Maker Bootcamp the first weekend in November in Nashville. We just had one a couple of weeks ago. You need to come. It’s 2 days of nothing but marketing and creating a marketing plan. It will change your business! I hope you are doing well. wow this page is great!! thank you, also if you want to check out some tips on real estate investing you should check out this video!!! As a buy and hold investor, I do not market much except when I need a renter. I am not actively looking for deals as much either, as the rental income supports me well over what I need. For those folks getting started they have to learn how to find deals.It sounds like you have a portfolio of properties which is great. Lots of luck to you with your investments.